Travel to some of Australia’s most inaccessible regions, on board a luxury expedition ship. Experience Australia’s remote wilderness areas including the Kimberleys, West Coast and Southern Coastline. Expedition cruising highlights include zodiac explorations, scenic walks to discover ancient aboriginal cave paintings, and helicopter flights over nature’s stunning geological landforms and towering waterfalls. True North is the only Kimberley adventure cruise vessel that travels with a full-time helicopter – an air-conditioned Bell 407 – and is purpose built for accessing shallow river systems. It features enhanced levels of comfort and luxury throughout the expedition allowing cruise passengers the opportunity to experience wilderness in surroundings more akin to one of the world’s most exclusive hotels. The all Australian crew provides legendary service – a passenger limit of 36 and a crew of 18 ensure a reputation for attention to detail and excellence in service. 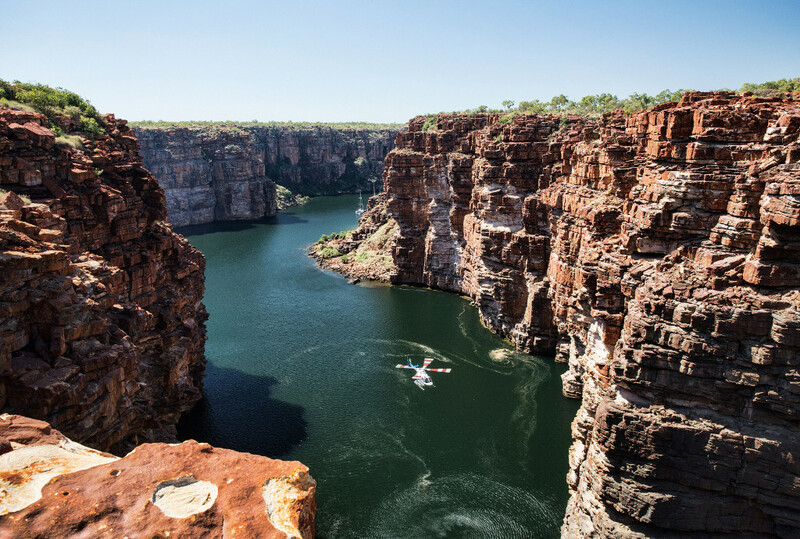 Kimberley Wilderness expedition cruising runs from March to September – from 7 to 13 night adventures – experiencing King Georges Falls, Hunter River, Montgomery Reef, barramundi fishing, heli – picnics and much more. This is an Australian wilderness journey of a lifetime!